American computer scientist who created the idea of a universal network which his successors developed into the internet. About 85 per cent of my “thinking” time was spent getting into a position to think, to make a decision, to learn something I needed to know. Much more time went into finding or obtaining information than into digesting it. Hours went into the plotting of graphs... When the graphs were finished, the relations were obvious at once, but the plotting had to be done in order to make them so. My “"thinking”" time was devoted mainly to activities that were essentially clerical or mechanical: searching, calculating, plotting, transforming, determining the logical or dynamic consequences of a set of assumptions or hypotheses, preparing the way for a decision or an insight. Moreover ... the operations that fill most of the time allegedly devoted to technical thinking are operations that can be performed more effectively by machines than by men. We need to substitute for the book a device that will make it easy to transmit information without transporting material. In Libraries of the Future (1965), 6. 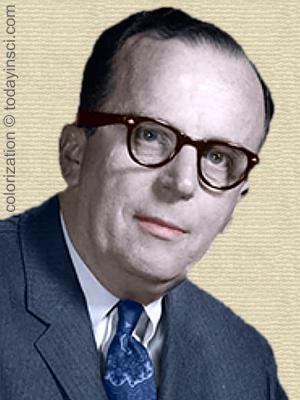 11 Mar - short biography, births, deaths and events on date of Licklider's birth. The Dream Machine: J. C. R. Licklider and the Revolution That Made Computing Personal, by Waldrop M. Mitchell. - book suggestion.